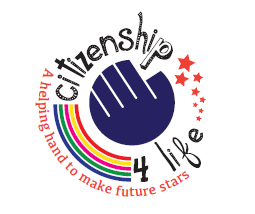 Citizenship 4 Life... A helping hand to make future stars. Citizenship for Life (C4L) is an inspirational journey of learning lasting 12 months, for young people who can derive the most benefits from the programme! Essentially, we help youngsters (aged 13/14 years) from across Cornwall to experience theme days based on many different aspects of being a good citizen and in so doing, help them increase their life skills and life chances. Being on C4L can help a young person build emotional resilience, self- confidence, self- esteem and gives them many new skills including team building, respect and courage to overcome any challenges they face. We pair each young person with a volunteer mentor who is their supporter throughout the experience and the group of young people, mentors and C4L organisers each attend a one day a month trip to meet inspiring and amazing people in spaces and places they would never otherwise visit! We are proud to have the support of our valued patron Terry Waite, CBE and the many sponsors and supporters locally who give their time, money and help to make each C4L year very special and a great success! Find out more through our website, whether you are a young person, parent, teacher, potential volunteer or just simply want to talk to us about helping us in some other way. We would love to hear from you so please do get in touch and do watch our mentor and young people films which feature on our webpages…..